Not surprising, Monsanto, today hidden behind the Bayer logo, as the world leader in patented GMO seeds and the probable carcinogenic Roundup herbicide with glyphosate, is attempting to quietly patent genetically modified or GMO varieties of fruits using controversial gene-editing. The “beauty” of this for Monsanto/Bayer is that in the USA, according to a recent ruling by the US Department of Agriculture, gene-edited agriculture needs no special independent testing. The developments are not good for human health or safety, nor will it do anything to give the world better nutrition. . 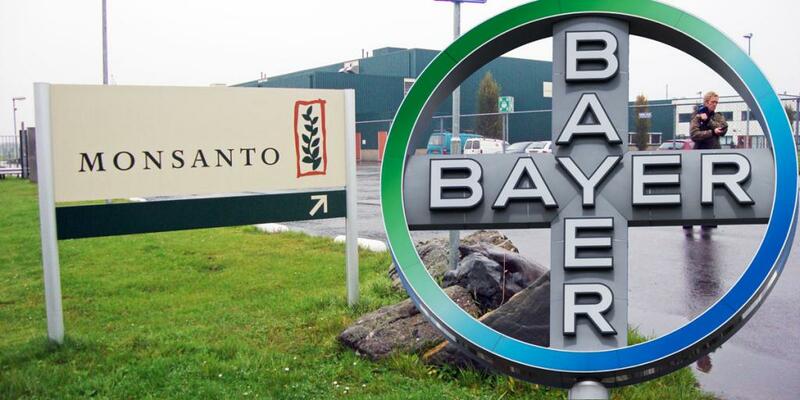 The agrichemical and GMO giant Monsanto, which today tries to keep a lower profile inside the German agrichemical and GMO giant Bayer, is moving into the highly controversial domain of gene-editing of new crop varieties. In 2018 as the company was being deluged with lawsuits over its use of the probable carcinogen, Roundup, Monsanto invested $125 million in a gene-editing startup called Pairwise. The link is anything but casual. Former Monsanto Vice President for Global Biotechnology, Tom Adams, has taken the post of CEO of Pairwise. In short, this is a Monsanto gene-editing project. In a press release, Pairwise says it is using the controversial CRISPR gene-editing technology to create genetically edited produce. Among their goals apparently is a super-sweet variety of strawberry or apples, just what our sugar-saturated population doesn’t need. CRISPR gene-editing, a stealth attempt by the global agribusiness industry to promote artificial mutations of crops and, as the world was shocked recently to hear, even humans, as in China, is being advanced, much like GMO crops falsely were, as solution to world hunger. Pairwise founder, Keith Joung, told media that their CRISPR gene-edited fruits, “will speed innovation that is badly needed to feed a growing population amid challenging conditions created by a changing climate.” How sweeter genetically-edited strawberries will solve world hunger he leaves to the imagination. Pairwise also says that gene-edited fruits would somehow also cut down on food waste. One has to be also skeptical there as well, even if it makes nice promotion copy. In addition to super-sweet strawberries, Monsanto plans to use its work with Pairwise to develop new varieties of gene-edited corn, soybeans, wheat, cotton and canola crops. And because the USDA unfortunately has given the green light, the new genetically modified foods will undergo no independent testing for health and safety. The US Department of Agriculture recently made a ruling that CRISPR and other new gene-editing of food products need no special regulatory oversight or independent testing. USDA Secretary Sonny Perdue announced in 2018 reaffirmation of an Obama-era ruling exempting gene-edited crops from special testing. In a press release, Purdue stated that the USDA won’t regulate plant breeders who use gene-editing techniques without introducing genes from another species, or “plants that could otherwise have been developed through traditional breeding techniques.” The statement added that, “USDA seeks to allow innovation when there is no risk present.” The problem is that there has been no exhaustive scientific testing by any us government agency or others to prove no risk in gene-edited plants. Fortunately, in a ruling that takes the health and safety of the population more seriously, the European Court of Justice (ECJ) — the highest court in the European Union — ruled last year that gene-edited products should be treated like genetically modified organisms (GMOs), which are subject to substantial regulation in the EU. That ruling has drawn howls of protest from the likes of Monsanto/Bayer but to date, it stands. This makes the USA the focus of agricultural gene-editing developments, likely bad news for the American population which is already–as a result of an executive policy ruling made by then-president G.H.W. Bush in 1992–consuming a diet heavily saturated with GMO soy, rice, corn, potatoes, sugar beets and other products, even GMO insulin for diabetes. The recent attention given to a Chinese biophysicist who went public with claims he had successfully gene-edited a human embryo to make the new-born twins “HIV-immune” has turned the world attention to the relatively unpublicized genetic manipulation technology known as gene-editing. That was bad news for companies like Monsanto/Bayer who had been hoping to advance their dreams of genetic manipulation under the rubric of “biotechnology,” to avoid the Frankenfoods label the world put on the earlier GMO technology. Whether the current USDA Secretary Perdue simply relied on the earlier arguments of bureaucratic appointees of the previous pro-GMO Obama administration, clearly it warrants a serious re-examination. The CRISPR-Cas9 technology which has transformed the gene-editing landscape is merely five or so years in existence. The risks have largely been left to individual scientists to reveal. In one such study, published in May, 2017 in Nature magazine, gene-editing researchers reported they were shocked to find an unexpectedly high number of secondary mutations in a mouse model of gene therapy. In other words, results were not predictable. When Chinese biophysicist He Jiankui shocked the world in December, 2018 by announcing he had used CRISPR to alter a gene in human embryos in the womb of a woman, who gave birth to twin girls in November, the Chinese authorities tried to silence the affair by putting He under house arrest, some suggesting he may even have been sentenced to death. What biophysicist He did, obviously with little regard to the genetic consequences, was gene-editing of the so-called germ-line. Changing the genes in an embryo means changing genes in every cell. If the method succeeds, the baby will have alterations that will be inherited by all of the child’s progeny in incalculable ways. If the mouse studies are any indication, the unintended consequences could be horrendous, not just for the two unwitting Chinese newborn twins. The implications of gene-editing using CRISPR and its modifications are so grave as to warrant the utmost caution before unleashing it on to the world market. Unfortunately, the opposite seems to be the case. Gene-editing kits can be bought by anyone online without proof of scientific qualifications, and for little money. Calls for a moratorium on gene-editing until the technology has been proven or disproven go unheeded. President Obama’s Director of Intelligence, James Clapper, even had genome-editing on the list of “weapons of mass destruction and proliferation.” The Pentagon DARPA is reportedly doing research on weaponizing certain varieties of mosquitoes. Anything is possible. It is long overdue to invoke the prudent “precautionary principle” by imposing a global moratorium on gene-editing pending far more controlled independent research before we perhaps one day learn that gene-edited strawberries, ever so sweet, can destroy life inadvertently or by design. Killing Us Softly—Glyphosate Herbicide or Genocide?